Here are results for Feb. I guess it was a black and red month. By accident, I swear! It had nothing to do with Valentines! 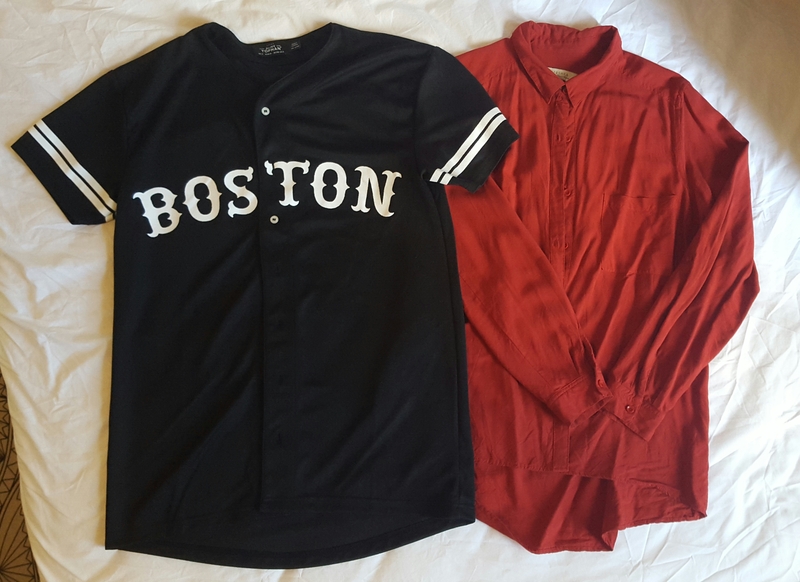 2 black T shirts (short and long sleeves), 1 black top, 1 red shirt and Boston shirt. This one is actually a man’s T-shirt. Only reason why I wore it is because I bought it and didn’t wear it probably for more than a year. Why did I buy it? Because this used to be my syle. I used to dance hip hop and this would be perfect. For then. 😦 My needs are different now so I think I’ll get rid of it. Jeans are the same. 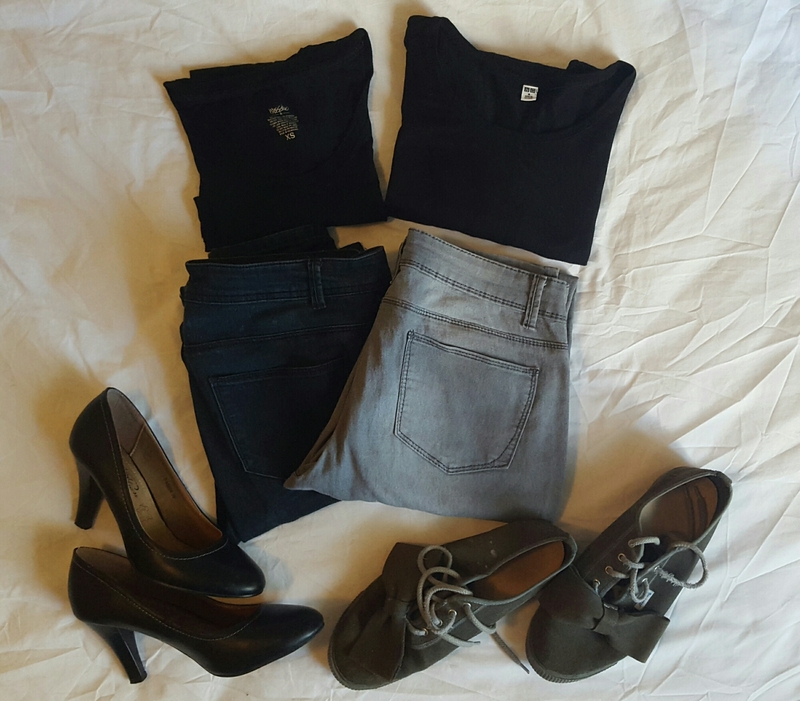 My favourite skinny jeans from Primark – black and grey. Last two items are new additions. 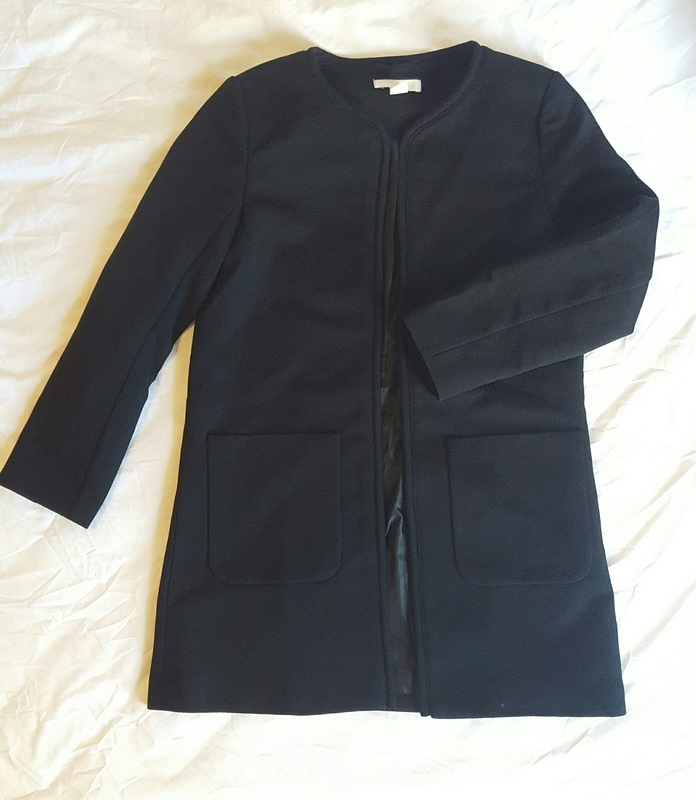 Black H&M coat. Perfect, classic one. I actually bought it back in January. And the overalls which were actually on my shopping list so it’s perfect. I am also looking for short ones for summer. The total is – 13 item during the whole month (including shoes and a winter jacket not on the pics)! I am liking this little experiment so far. It is not putting any pressure on me, I still wear what I want, but I am getting a clearer picture of the thing I use. I am very surprised to see how much black I am wearing, because I do love colours! I really do! But I guess I am going through a phase now. I find black to be simple and classic and to fit with any occasion. What do you think? I will be trying to post some of my OOTDs, even when I’m on my travels so you guys can see what I do with the clothes. 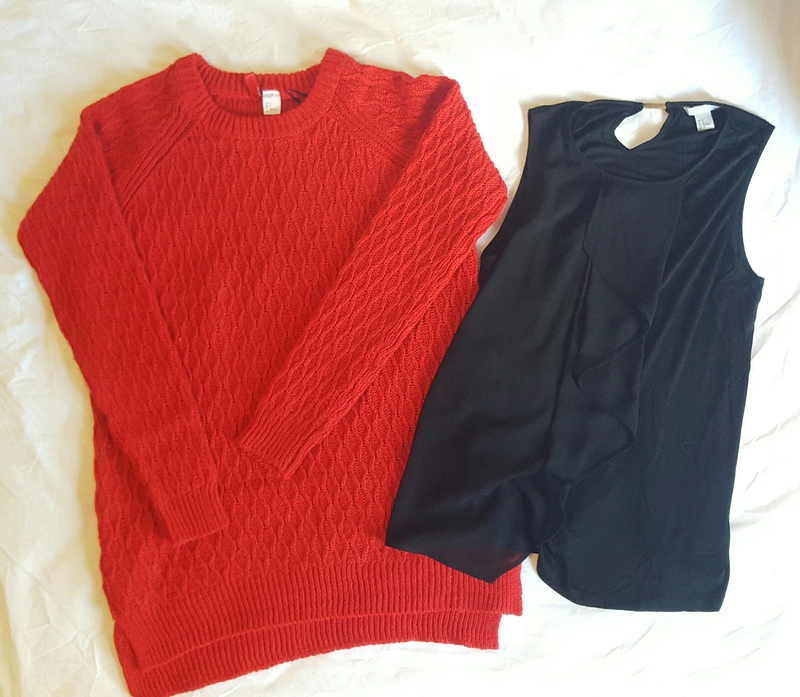 How is your capsule wardrobe going? Are you struggling or loving it?